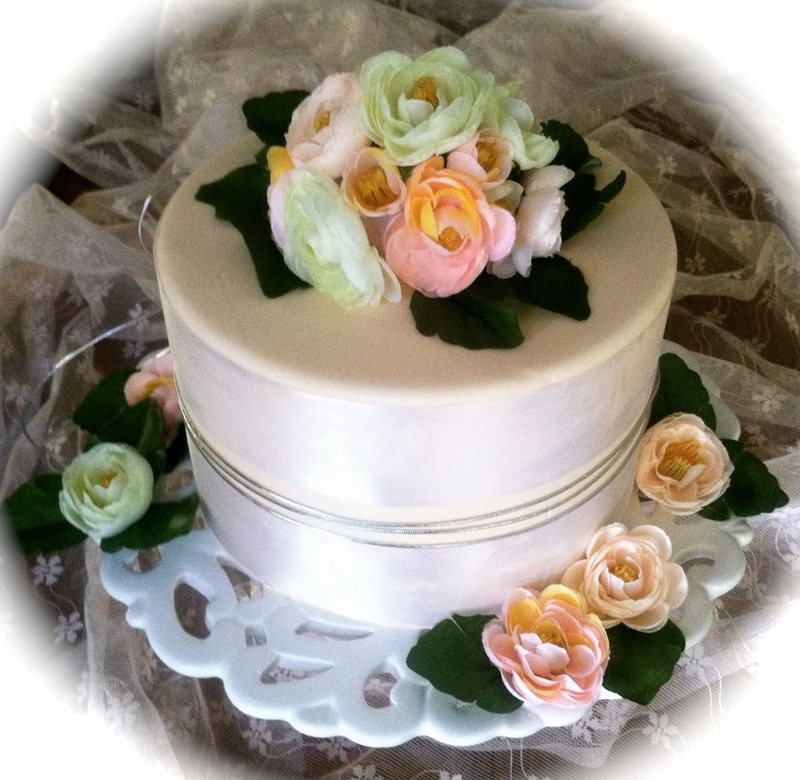 Peach fondant covers the double tiers. A double row of white satin ribbon surrounds the cake, with silver cord between. Suitable for a range of celebrations even a small wedding.